Perry C. Roquemore, Jr. brings to the Bloom Group over 37 years of experience gained from serving the Alabama League of Municipalities as League Staff Attorney (1974-1985), League Assistant Director (1985-1986) and League Executive Director (1986-2011). During many of these years he also served as General Manager of the Municipal Workers Compensation Fund, Inc., Secretary-Treasurer of the Alabama Municipal Insurance Corporation and Secretary-Treasurer of the Alabama Municipal Funding Corporation. During his years of service with the League, Perry was responsible for advising municipal offi­cials and em­ployees from over 450 League member cities and towns. He has written numer­ous articles on municipal government and has addressed numerous gatherings of municipal officials on municipal matters. He authored much of the handbook and many other guides used by all elected mu­nicipal of­ficials in Alabama. Perry was involved with League legislative lobbying efforts since 1975. During this period, many laws benefiting member municipali­ties have been enacted by the State Legislature. He has also served as liaison between the League and other interest groups on mat­ters affect­ing municipal government. 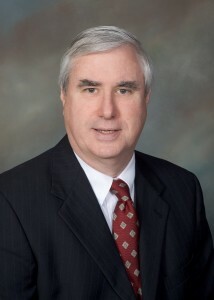 He has taught graduate school and law school courses in the fields of Local Government Law, Legislative Law and Administrative Law for the University of Alabama and Jones Law School.